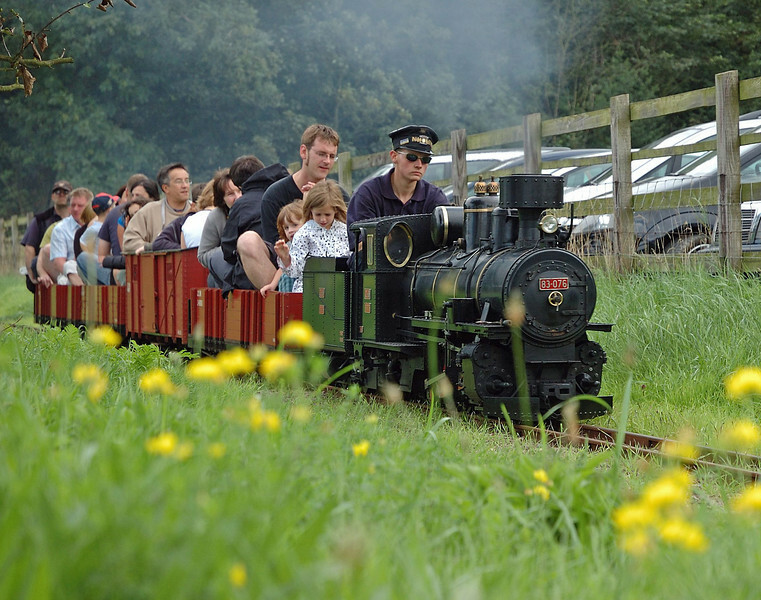 The Norton Hill Light Railway is a private miniature railway in the village of Snettisham in North West Norfolk. It opens its doors to the public on a number of weekends during the summer to raise money for local good causes, the final operating day is usually the Sunday of the August Bank Holiday weekend. It is loosely based on the Bosnian 76cm gauge lines and features two locomotives, an 0-8-2 83-076 and a 2-6-2 73-019, plus a Duro Dakovic B-B diesel hydraulic. In 2012 a new arrival made its appearance, based on the legendaty Maine two footer, the Sandy River and Rangeley Lakes Railway. In 2013 the two resident locomotives were back in service 0-8-2 83 076 and 2-6-2 73 019. I paid two visits over the August Bank Holiday, on Saturday in the murk and on Sunday in the sun.